4.2 out of 5 based on 64 bloggers and 4 commenters. 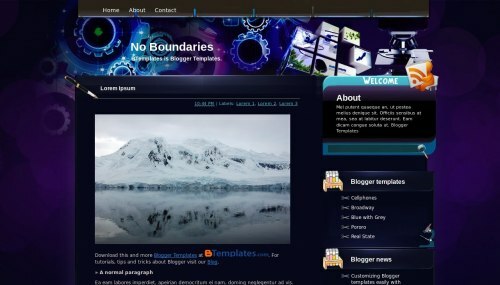 No Boundaries is a free blogger template adapted from WordPress with 2 columns and right sidebar. why my about me column is weird? Saya sudah Download template ini, dan semoga saja bosa saya gunakan template ini. Terima kasih.